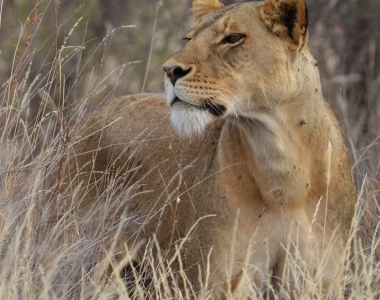 For more than a decade, we have been monitoring the lions living on community lands. 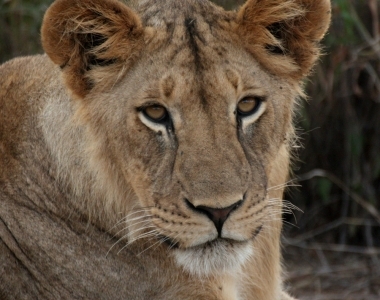 Over the years of monitoring, what we have observed is truly exciting: a growing population, interesting adaptations to living with people, and dispersers that travel to distant protected areas and other lion populations. 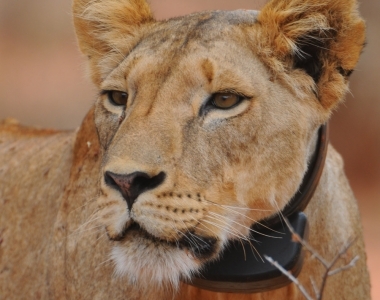 The below timeline of events showcases the detailed information we have on one of our most loved lions – Selenkay! Scroll over the hexagons for more information and click the arrow key to follow all our observations. First observation on community land with mother and aunts. Her distinctive eye patch is noted. Post a boma raid, Selenkay and her daughters are hunted. Selenkay splits from her cubs and attacks a warrior, biting him. Lions and warriors all survive. While searching for Selenkay, we are startled by the bellow of a cow being killed nearby. We rush to the source of the noise to find Selenkay & Elikan killing it. Selenkay vanishes. Selenkay and family found during the daytime ONLY 0.7 kilometres from the boma which they raided overnight, injuring one cow. Third litter all killed by incoming males Loosinkoron/Loorgojini - infanticide. Caught-red handed at a boma....we throw thunderflashes and chase them in the car through thick woodlands. They scatter and beeline back to the conservancy. Selenkay kills a total of 4 adult giraffe in the space of 8 months! In 2015, we record a high of livestock depredations in one year by Selenkay: 99 livestock killed/injured - an average of over 8 per month. 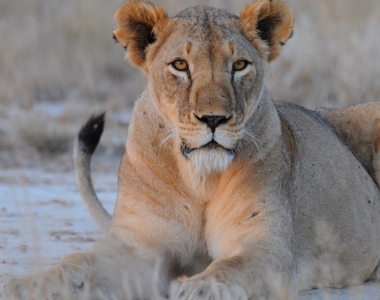 On her 10th birthday she is found eating at an elephant carcass…is this how large predators celebrate significant birthdays? 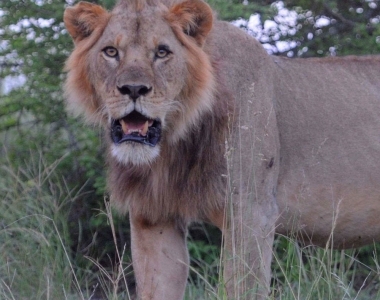 Comes to the Lion Guardians Camp for a visit! The 215th observation we have had of Selenkay. That’s an observation rate of about once every two weeks for 10 years. 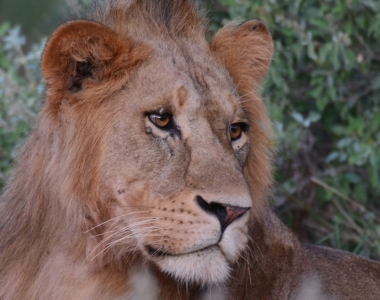 For more lion stories, read our blog and learn about the lions that we monitor and the “soap-opera” lives that they lead.